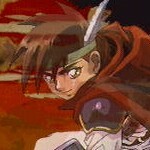 ActRaiser is an action platformer/simulation hybrid game for the SNES by Enix/Quintet. 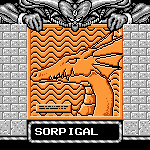 This section contains a sprite gallery of every enemy, icon, and boss in the ActRaiser game. Also included is a Rec Room Spotlight feature that has artwork, musical downloads, and a review. Albert Odyssey: Legend of Eldean is an RPG for the Sega Saturn by Working Designs/Sunsoft. This shrine contains pictures of the characters from the ending sequence, wallpaper, music, a walkthrough of the final level, and my Albert Odyssey review. Arc the Lad: Twilight of the Spirits is an RPG for the PS2 by Sony/Cattle Call. This shrine contains character essays, tons of screenshots, oddities, music downloads, and more. Azure Dreams is an RPG for the Gameboy Color by Konami/KCE Nagoya. 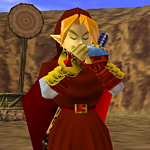 This shrine contains a complete pictoral list of all the game's monsters, characters, music downloads, secrets for obtaining difficult monsters, a review, and more. Note: Gameboy Color version of Azure Dreams covered, only. 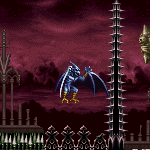 Demon's Crest is a sidescrolling adventure game for the SNES by Capcom. This is a pictoral guide for finding all of the special items in the game, which will allow you to confront the two true final bosses. 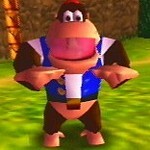 Donkey Kong 64 is a 3D platformer for the N64 by Nintendo/Rare. This shrine contains glitches, oddities, essays, screenshots, music downloads, a review, and more. Drakkhen is a 3D RPG for the SNES by Kemco-Seika/Infogrames. This project is under construction, but contains a finished walkthrough, a tips page, music, bestiary, and oddities. Equinox: Solstice II is a dungeon-based adventure game for the SNES by Sony Imagesoft/Software Creations. This shrine is still under construction, but contains a walkthrough, music downloads, screenshots, codes, various scans, oddities, maps, and more. The Guardian Legend is an adventure/space shooter hybrid game for the NES by Broderbund/IREM/Compile. 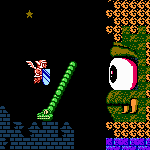 This shrine contains sprites of all the game's enemies, bosses, and items, and a review. HyperZone is a 3D rail shooter for the SNES by Hal Laboratory. This shrine is complete with video demonstrations, codes, cameos, downloads, and more. Kid Icarus is a sidescrolling platform game for the NES by Nintendo. This shrine contains a walkthrough, music downloads, screenshots, codes, various scans, oddities, maps, fan art, and more. King Arthur & the Knights of Justice is an adventure game for the SNES by Enix/Manley & Associates. This shrine contains a walkthrough, music downloads, screenshots, codes, various scans, oddities, maps, and more. Kirby's Dream Land 3 is a sidescrolling platform game for the SNES by Nintendo/Hal Laboratory. This pictoral walkthrough will help you discover all of the game's secret heart-stars and obtain the best ending. The Legend of Zelda: Ocarina of Time is an adventure game for the N64 by Nintendo. 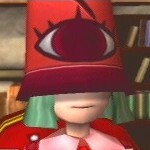 This is a two-part shrine that contains a complete Item FAQ and a collection of miscellaneous oddities and theories. The Magic of Scheherazade is an RPG/adventure hybrid game for the NES by Culture Brain. This shrine contains a walkthrough, music downloads, screenshots, codes, various scans, oddities, maps, and more. Might and Magic is an RPG for the NES by Sammy/G-Amusements. This page contains tons of unused graphics, dialogue, and music, as well as regional differences, cameos & references, glitches, oddities, and a full overworld map. Secret of Mana is an adventure game for the SNES by Squaresoft. This extended oddities feature contains information on various secrets, glitches, references, and more.